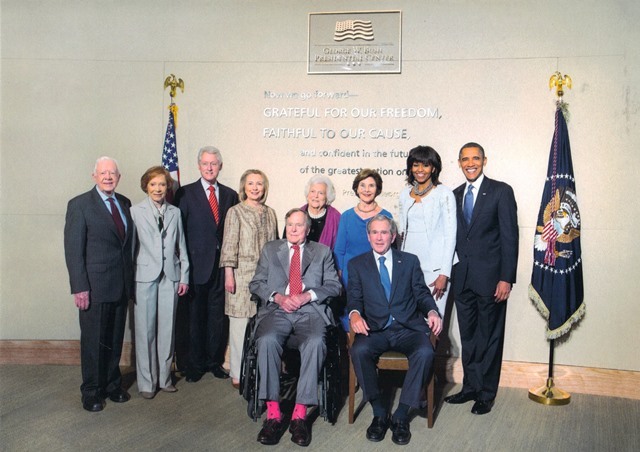 One of my warmest memories, about President George W. Bush, does not involve him, but rather my neighbor Phil. I had volunteered for both of the President’s campaigns, a fact that could not be lost on any of my mostly Democrat neighbors, as my yard was filled with signs! 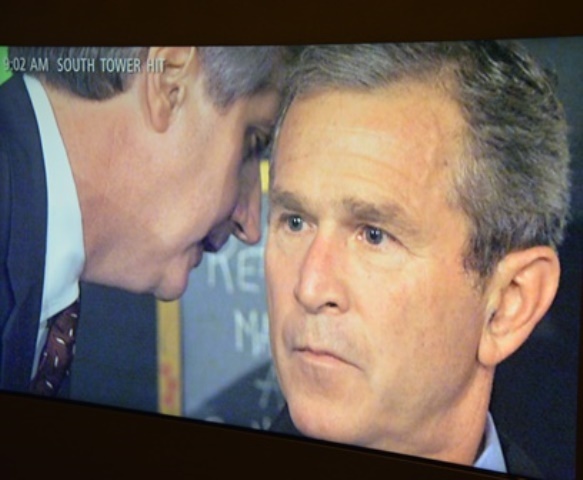 As the election came upon us, Phil was certain that President Bush would not win; a loss that he would not have been unhappy about, but having known how much I had put my heart into the election, Phil decided to make me a special dinner, on election night, knowing that I would need to be consoled. Of course, the President did win, and it was Phil who was completely confounded and needed comfort. I always enjoyed our chats, and as we talked about politics and people, I think we were both comforted. I deeply loved Phil and miss him very much; there are many wonderful memories of moments we shared, but remembering that night always brings a smile to my soul. 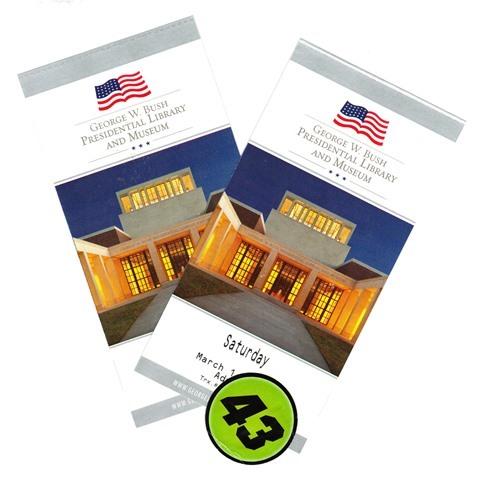 As you may know, there are thirteen Presidential Libraries, which serves as museums and archives of our Presidents. 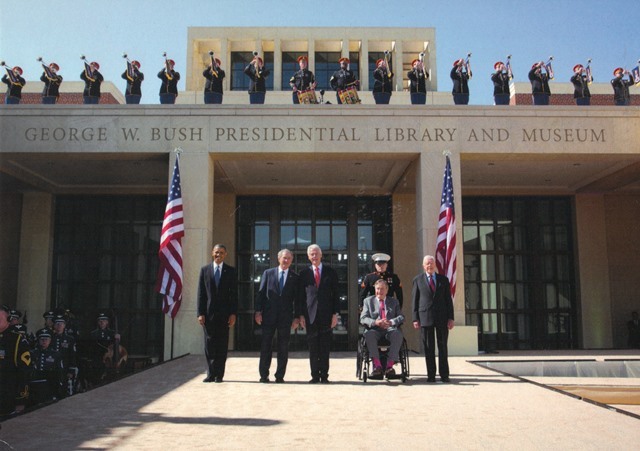 I have been fortunate enough to visit all thirteen sites, with President Hoover’s being the last library on my list; however, I have been remiss in sharing those visits with you; something I am going to start to correct, with President George W. Bush’s library located in Dallas, Texas, on the Southern Methodist University campus. 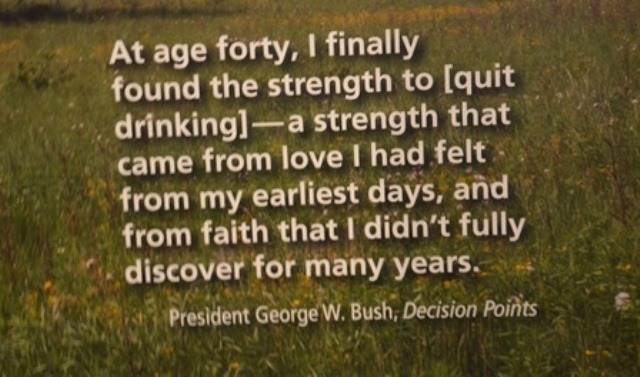 “George Walker Bush was born July 6, 1946, in New Haven, Connecticut, the first son of future President George Herbert Walker Bush and his wife Barbara (Pierce) Bush. 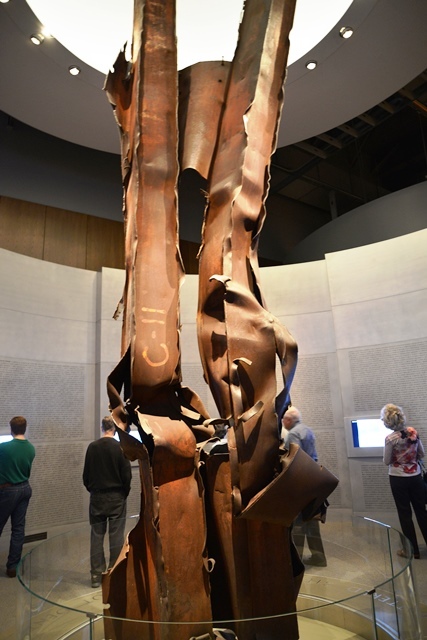 He has five siblings; John (Jeb), Marvin, Neil, and Dorothy (Doro). In 1953, at the age of four, his first sister, Pauline (Robin), died after fighting leukemia. 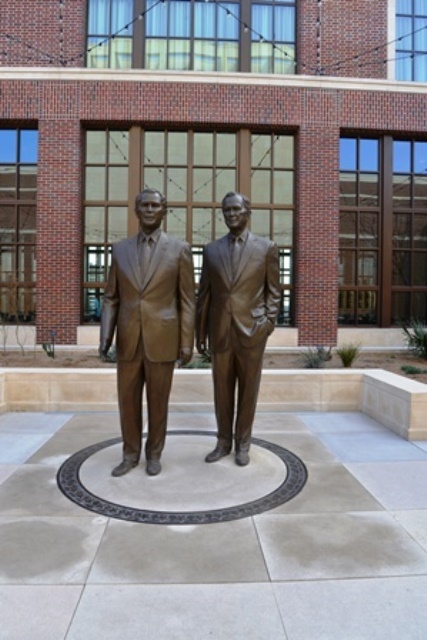 In 1977, George W. Bush met and married Laura Lane Welch, a former teacher and librarian, in Midland, Texas; the couple had twin daughters, Jenna and Barbara, in 1981. In 1978, following his family’s distinguished tradition of public service, George W. Bush made his first run for political office to be U.S. Representative of the 19th District in Texas. He lost that race to Kent Hance. 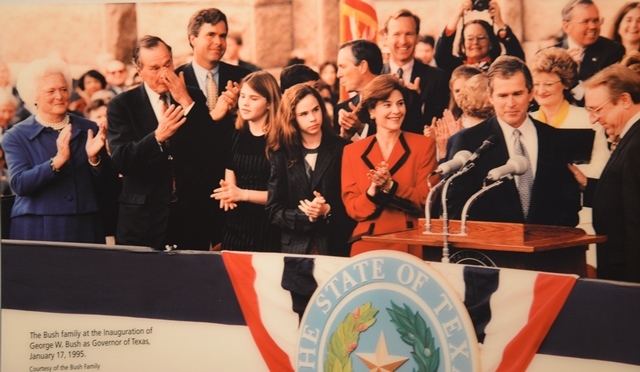 In 1994, Bush once again ran for public office and was elected the 46th Governor of Texas. 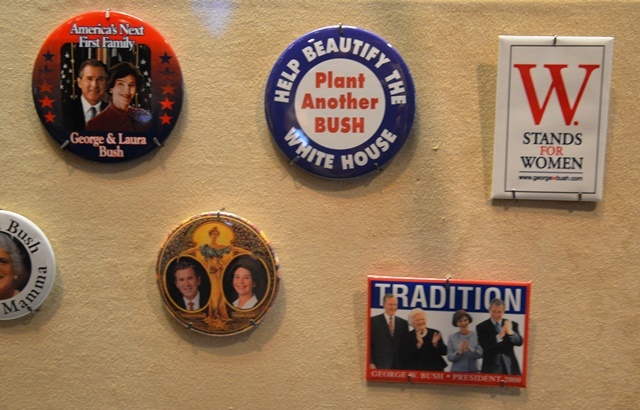 Governor Bush won re-election in 1998 with nearly 69% of the vote, becoming the first Governor in Texas history to be elected to two consecutive four-year terms. I love this picture — just look at the faces of his family — the expressions are priceless! 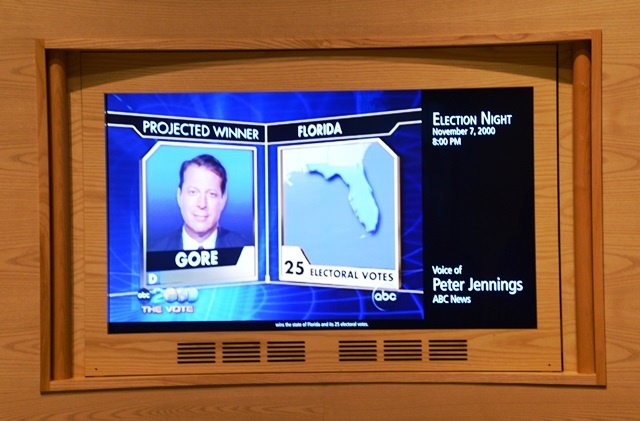 one is able to watch how the major networks struggled with predicting a winner. 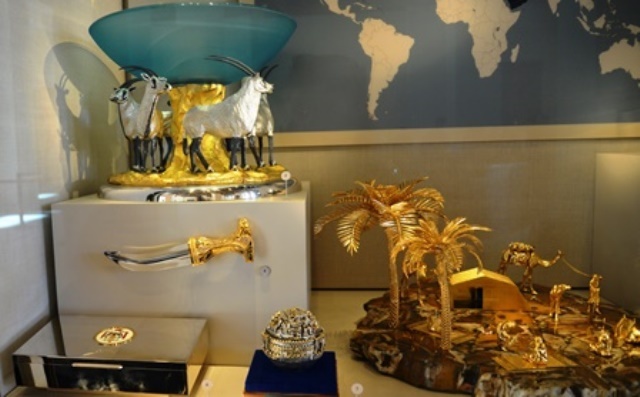 The obligatory display of gifts from foreign nations. 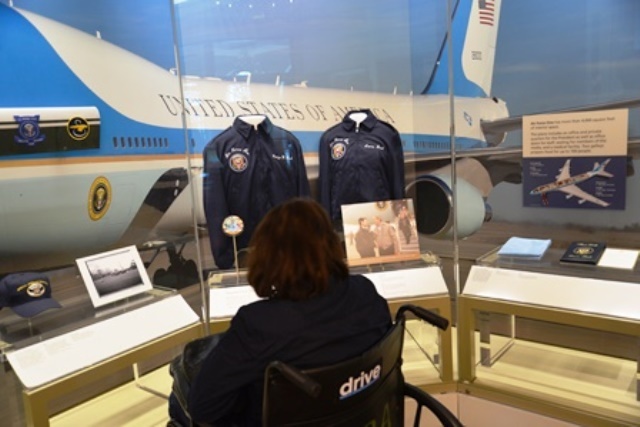 One of the most pivotal points in the Presidents life. The picture which speaks louder than words ever could. 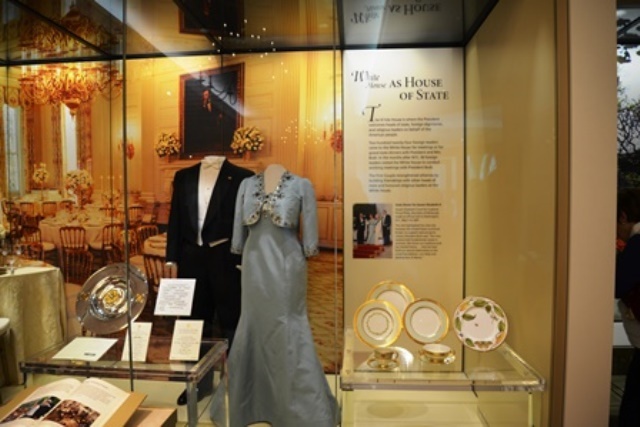 A peek at entertaining in the White House. This entry was posted on January 18, 2018 at 12:01 am and is filed under Public Square, SlideShow. You can follow any responses to this entry through the RSS 2.0 feed.